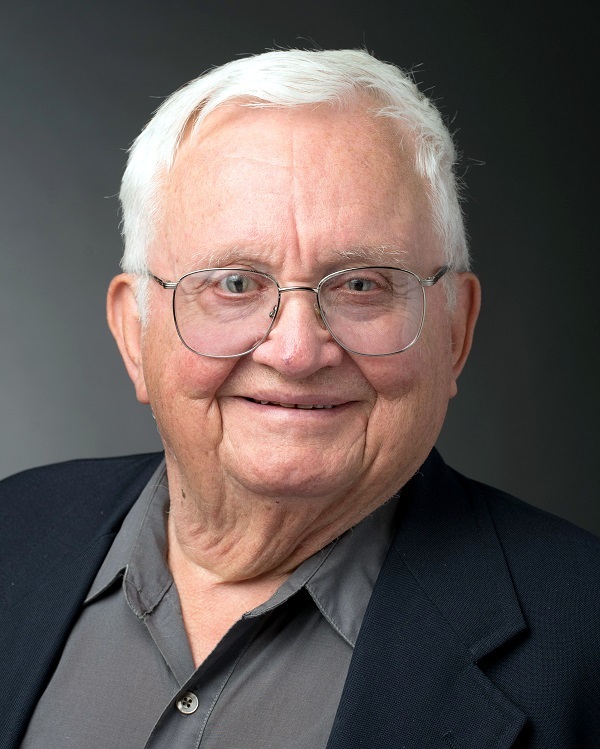 With nearly 60 years of professional experience, Dr. John Burr has been the John McNaughton Rosebush professor at the University of Wisconsin-Oshkosh since 1984. OSHKOSH, WI, January 15, 2019 — Marquis Who's Who, the world's premier publisher of biographical profiles, is proud to present John Burr, PhD, with the Albert Nelson Marquis Lifetime Achievement Award. An accomplished listee, Dr. Burr celebrates many years of experience in his professional network, and has been noted for achievements, leadership qualities, and the credentials and successes he has accrued in his field. As in all Marquis Who's Who biographical volumes, individuals profiled are selected on the basis of current reference value. Factors such as position, noteworthy accomplishments, visibility, and prominence in a field are all taken into account during the selection process. With nearly 60 years of professional experience, Dr. Burr has been the John McNaughton Rosebush professor at the University of Wisconsin-Oshkosh since 1984, having served the esteemed academic institute as a professor since 1968, as an associate professor since 1966, and as a faculty member since 1964. In addition to his primary roles, he has worked for the University of Wisconsin-Oshkosh as the president, on the faculty senate, the chair of the humanities division, the chair of the university academy policies committee, and the assistant dean of letters and sciences. Earlier in his career, Dr. Burr was an assistant professor of philosophy at Hood College from 1961 to 1964 and a member of the adjunct faculty of Franklin & Marshall College from 1959 to 1961. Dr. Burr began his career as a student at the University of Wisconsin-Madison, obtaining Bachelor of Arts in 1955. He continued his studies at Columbia University, earning a Master of Arts in 1956. Dr. Burr concluded his educational pursuits at Columbia University in 1959, graduating with a Doctor of Philosophy. A respected voice in the field, Dr. Burr has been an active leader in his community. He is a member of the American Philosophical Association, the Metaphysical Society of America, the Association of Asian Studies, and the Wisconsin Academy of Science, Arts, and Letters. He has held the posts of chapter president, secretary, vice president, and president for the American Association of University Professors. Dr. Burr has also been affiliated with the Candlelight Club, the Freemasons, Phi Beta Kappa, Phi Kappa Phi, Phi Eta Sigma, Delta Sigma Rho, and Pi Kappa Delta. Dr. Burr is the author of the book “Philosophy in the Shadow of Tomorrow” (Kendall Hunt Publishing Company). He was the editor of “Handbook of World Philosophy: Contemporary Developments since 1945,” multiple editions of “Philosophy and Contemporary Issues,” and “World Philosophy: A Contemporary Bibliography.” He has notably contributed to professional journals, as well as to the “Encyclopedia of Unbelief.” The former president of the Oshkosh Community Players, Dr. Burr maintained involvement with the Wisconsin Association of Children and Adults with Learning Disabilities, having been on the board of directors and as president. Throughout his career, Dr. Burr has been recognized for his achievements. He was a grantee of the Ford Foundation and Wisconsin State University. Dr. Burr has been featured in numerous editions of Who's Who in America, Who's Who in American Education, and Who's Who in the Midwest. In recognition of outstanding contributions to his profession and the Marquis Who's Who community, Dr. John Burr has been featured on the Albert Nelson Marquis Lifetime Achievement website. Please visit www.ltachievers.com for more information about this honor.